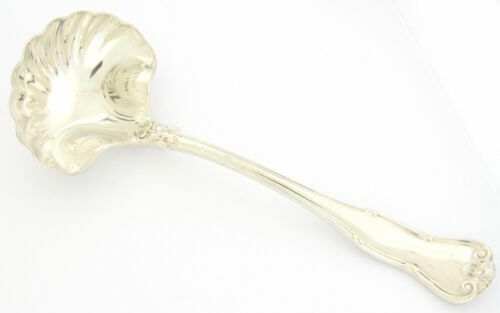 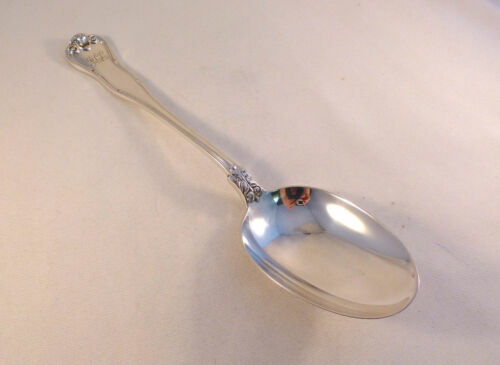 $309.0 Provence by Tiffany & Co. Sterling Silver Vegetable Serving Spoon 9"
$109.0 VINTAGE TIFFANY & CO. STERLING SILVER PROVENCE PATTERN SCALLOPED LADLE 7.25"
$189.0 Provence by Tiffany & Co. Sterling Silver Gravy Ladle 7 3/4"
$189.0 Provence by Tiffany & Co. Sterling Silver Cold Meat Fork 8 3/4"
$220.15 Provence by Tiffany & Co. Sterling Silver Nut Cracker HH WS Custom Made 7 1/4"
$189.0 Provence by Tiffany & Co. Sterling Silver Cold Meat Fork Narrow 9"
Buy: $389.99 Tiffany & Co Provence Salad Serving Fork. 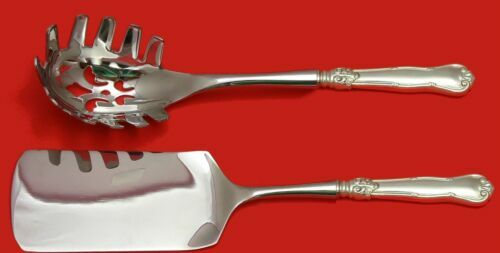 $199.0 Provence by Tiffany & Co. Sterling Silver Vegetable Peeler HHWS Custom 6"
$189.0 Provence by Tiffany & Co. Sterling Silver Cold Meat Fork w/Splayed Tines 8 3/4"
$129.0 Provence by Tiffany & Co. Sterling Silver Pastry Fork 6"
Buy: $589.0 Tiffany & Co PROVENCE Sterling Flatware SERVING SET Spoons Ladle Pie 542 grams! 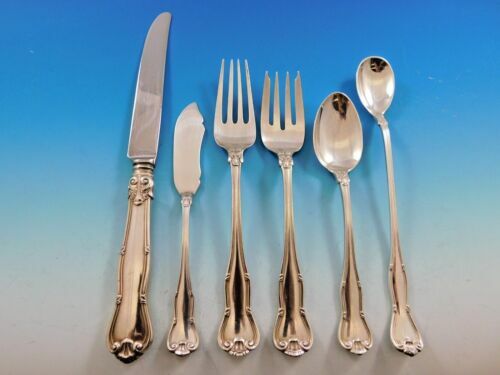 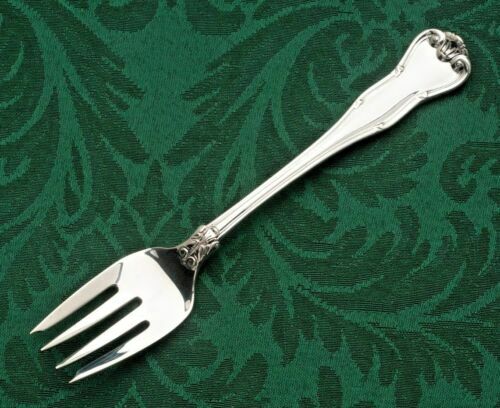 $143.65 Provence by Tiffany & Co. Sterling Silver Coffee Scoop HH Custom Made 6"
Buy: $109.0 Provence by Tiffany Sterling Silver Salad Fork 6 7/8"
$169.0 Provence Sterling Silver by Tiffany & Co. Meat Serving Fork, Flair Tines 9"
$129.0 Provence by Tiffany and Co Sterling Silver Dinner Knife French 10 3/8"
$97.5 VINTAGE TIFFANY & CO. STERLING SILVER PROVENCE PATTERN SPOON 5.75"
$165.0 Tiffany & Co. Sterling Silver Cold Meat Fork "Provence"
$129.0 Provence by Tiffany & Co. Sterling Silver Fish Fork 6 3/4"
$79.0 Provence by Tiffany & Co. Sterling Silver Cocktail Fork 5 7/8"
$119.0 Provence by Tiffany & Co. Sterling Silver Regular Fork Heavy 6 3/4"
$129.0 Provence Sterling Silver by Tiffany & Company Oval Soup or Dinner Spoon 7.25"
$119.0 Provence by Tiffany & Co. Sterling Silver Regular Fork 6 3/4"
$139.0 Provence by Tiffany & Co. Sterling Silver Fish Knife Individual Custom 8 1/4"
$139.0 Provence by Tiffany & Co. Sterling Silver Steak Knife Serrated Custom 8 1/2"
$119.0 Provence by Tiffany & Co. Sterling Silver Spinach Fork Custom Made 6 3/4"
$99.0 Provence by Tiffany Sterling Silver Teaspoon 6"
$118.15 Provence by Tiffany & Co. Sterling Silver Wedding Cake Knife HH WS Custom 12"
Buy: $139.99 Tiffany Provence Sterling Silver 7-1/4" Sauce Ladle Engraved "Love Punky"
$109.0 Provence by Tiffany & Co. Sterling Silver Regular Knife French 9 1/2"